Whether it is fireworks, dancing, feasting or fasting, Dussehra is one of the popular festivals of India. Even though the central theme of the grand Hindu festival is the victory of good over evil, the festivities highlight the differences on how people from different regions of India prepare for Dussehra Festival every year. Here’s a look at the ways the Dussehra festival is celebrated in different parts of India. Dussehra in Kolkata gives you an ultimate experience of your life. As the biggest festival in West Bengal, you will find elaborate theme-based puja pandals, delicious offerings (bhogs) and plenty of food stalls to entice people from all over the world to take part in Kolkata’s Dussehra celebration. Do not forget to experience the prime attractions of the festival i.e. playing of Dhaak, a special type of instrument and Dhunachi dance, where men and women dance to the beats of the Dhaak wearing traditional Bengali sarees and holding Dhunachis. 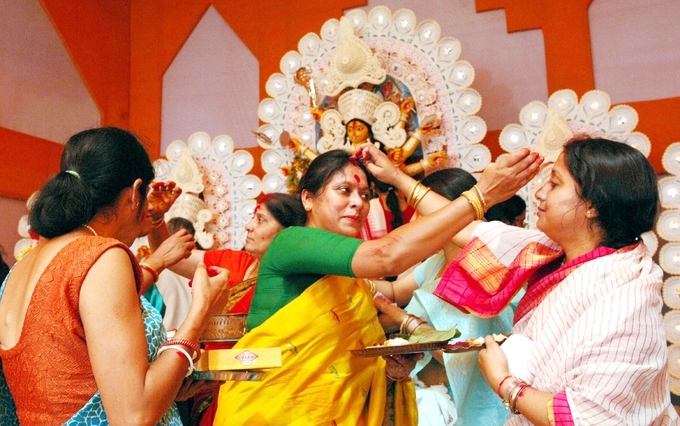 Another unique aspect of Durga Puja/Dussehra Puja in Kolkata is that unlike other parts of the country, where people fast or have only fruits for the 9 days of Navratri, Bengalis enjoy a variety of delicious food found in food stalls set up near the Durga pujo pandals. 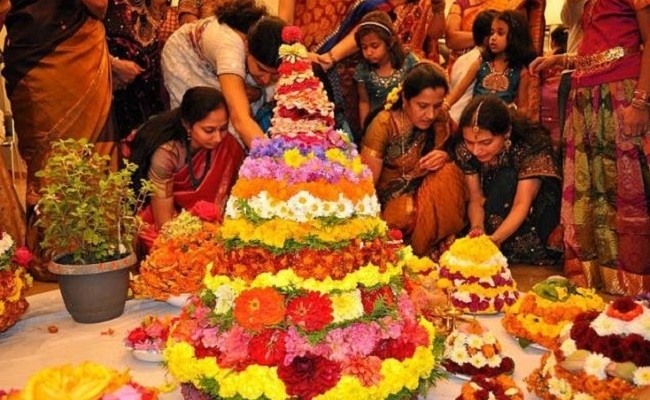 People of Hyderabad worship the Goddess Gauri in the form of Bathukamma during the 9 days of Navratri, while it starts on the same day as Mahalaya Amavasya and ends on Durgashtami (called Ashwayuja Ashtami) in Hyderabad. Specialities include the beginning of the floral festival, worshipping Lord Ganesh and dancing across a flower pattern made with seven concentric wooden circles on top of one another to resemble any temple. Other than worshipping Bathukamma Goddess, the people of Hyderabad celebrate Boddemma festival for 7 days to mark the arrival of Sharad i.e. the autumn season. 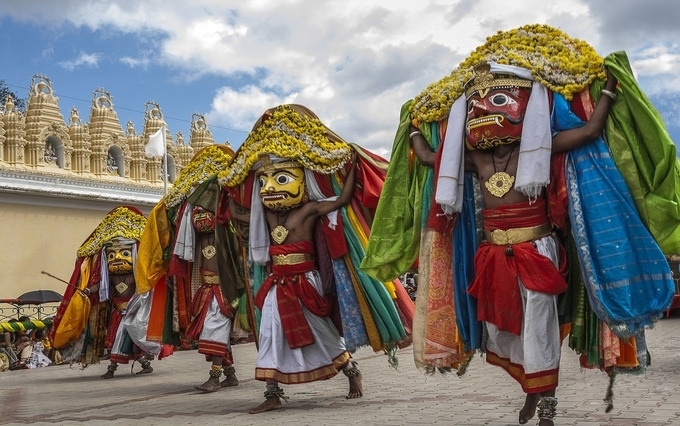 Want to experience a glimpse of the unique culture and traditions during your Dussehra festival in India, schedule your tour to Mysuru and participate in Karnataka’s popular 10-day Nadahabba festival there. Mysuru was named after the demon named Mahishasura, who was killed by Goddess Durga in her Chamundeshwari incarnation. The gorgeous Mysore Palace is illuminated with more than 100,000-night bulbs at night making it the prime attraction of the festival at Mysuru. Other attractions include the traditional Karnataka dance, religious and cultural programs that take place near the lit Mysore Palace. Do not miss the Jumbo Sawari, the traditional procession on Dussehra hosted on Vijayadashami through the streets of the city. Accordingly, devotees place an idol of the Goddess Chamundeshwari over a 750kgs of gold mantapa on the top of a decorated Jumbo (trained elephant). Looking to soak yourself in the festive spirit even after Vijaya Dashami, just think about celebrating your Dushera in Kullu at least once in your life. 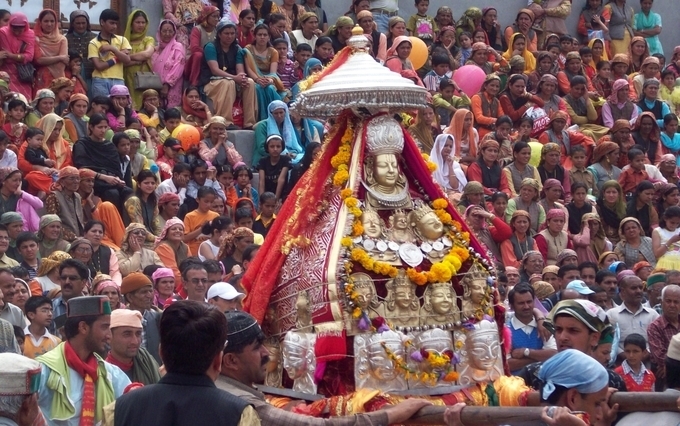 The unique aspect of Kullu’s Dushera is that here celebrations start when other areas in the country are done celebrating the Navratri and Dashami festival. Secondly, this is the only Indian festival, where you will find large numbers of Hindu deities, all assembled in a single place. Planning a holiday during Dussehra to experience different customs? Well, what are you waiting for? Call Kesari Tours for more details today. Check Out Our More Blogs on Dussehra festival in India! !